What is the mortgage loan process in Arizona? 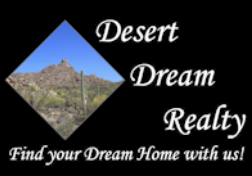 Find out what is the mortgage process to buy a home in Arizona. The mortgage loan process can be daunting. Tag along on an adventure with Carol as she learns about the home loan process. The videos will explain the loan process from application to approval. There are three steps to the loan process: Origination, Processing and Underwriting. First is Origination also called the documentation stage. This is where you provide all documents to prepare the loan for processing. What documents do you need? Documents such as paycheck stubs, W-2 forms, bank statements, investments and income tax forms all are needed for processing a loan. Your loan officer or loan originator will help you select the mortgage product and financing method that is right for you and help you complete the mortgage loan application. Click Here to Download your Mortgage checklist. Then we move to processing, the second video also called The Appraisal Stage. After receiving your application from you loan officer, the processor gathers and verifies all the information. The processor will review the application and all documents for completeness and consistency, verify employment, bank deposits and other financial information. Then credit information will be ordered and verified for completeness. The processor will also order an appraisal of your home through a third party appraisal management company to determine the value of your home. The processor will submit your loan application package documents, verification and reports to underwriting. This video explains the third stage of the Mortgage process, the Underwriting Stage. This stage starts after all your loan paperwork has been submitted. The underwriter will organize the documentation you submitted and make sure it meets all qualification guidelines. The underwriter will also verify that everything is correct all facts, figures, income, and debt and funding. It is normal for the underwriter to ask for additional documentation. The Clear to Close Stage. This is the fourth state in the loan process. In this stage the loan has cleared the underwriting stage and all the i's have been dotted and all the t's crossed. Your loan is now being prepared for closing the closing table. Closing is where you sign all those documents for the loan and your dream home will soon be yours! This concludes the mortgage process. Carol learns what you need to do to get pre-qualified for a home loan. She learns a lender recommends to start gathering together before you see them: Last two years of income tax returns; Last two years of W-2 or 1099's; Current month of pay stubs and current month of bank statements. You also will need to sign a form which gives permission to the lenders to get your tax returns directly from the IRS, it's call a Request for transcript of tax returns also called form 4506T. Your lender will provide these. There are also several home loan programs and your lender can help you choose the one that is best for you. There are mortgage assistance programs too to help with down payment and closing costs and your lender can help you decide which work best for you. Carol learns what not to do when buying a home. She learns the items that could potentially create some issues or challenges before or after one applies for financing. Don't make any major purchases. Don't open or close bank accounts. Don't make any deposits in excess of your paycheck. Don't quit your job or make employment changes. Don't pay off any collections older than 12 months old unless it is revolving credit like credit cards. If you stay away from these what NOT to do while buying a house, you should be fine.